Because industry politics is an uncomfortable—and sometimes unfortunate—topic, I think it’s probably avoided far too much. New animators breaking into the industry are probably blindsided (I know I was) by just how deep the politics of a studio can go, or even that they exist at all. So let’s talk about it! I’ll say this—as soon as you have more than one person involved in a project, you have some amount of politics, however small. Every studio has issues with politics, no matter how big or small. If you are newer to the industry, it’s important to be aware that these issues exist, and to navigate the sometimes choppy rapids as wisely and carefully as possible. 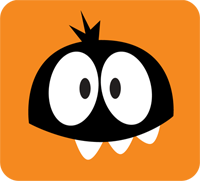 Just like the characters you will animate in your project, each of the people around you has a back story, a history with the company and their co-workers, and deeply informed opinions about the studio, the project, and the people you are working with. If you are prone to gossip, my advice would be to resist that urge, and if you absolutely have to drop some juicy gossip, at least wait until you really have a solid grasp of the lay of the land. Nothing can tank your reputation at a studio faster than bad-mouthing some co-workers the rest of the company idolizes, and it won’t take long for the Gossip Train to be talking all about you, your bad attitude, and your false sense of superiority instead. Just starting a new job? My advice is to make it a priority to learn the ladder of who’s who at that studio. Within your department, you should learn who is “above” you in status, who’s worked there a long time, who else is new, who the supervisors are, who the managers are, who the president of the company is, etc. This is important stuff to know when meeting people for the first time, but also important in your job. Let’s say that you are a new animator. You will likely have a lead animator, an animation supervisor, and a director of the project. Very likely there will be an even more complex hierarchy (art directors, visual effects supervisors, etc.). Well, one of the few things that could land you in hot water at a new company would be going over someone’s head. Depending on how the studio is set up, you may be expected to show your work first to the lead, then once the lead is happy with it, you’ll show it to the supervisor, and when the supervisor is satisfied, they’ll show it to the director. If that’s what they are used to doing, and you keep skipping the lead and going straight to the supervisor (or worse, skip the supe! ), you are going to start annoying people, at the very least If your goal is to impress these people with how easy you are to work with, going over their heads is not going to help very much! I almost didn’t even include this one, because 99 times out of 100, you won’t have to worry about this at all. Animators within a studio often tend to be like a family, and you might work in the industry for years before encountering someone who is a genuine back-stabber. Nothing can tank your reputation at a studio faster than bad-mouthing some co-workers. However, sadly, many studios have a bad apple or two. An animator who is a snake in the grass out only for themselves, and willing to do or say anything that helps them get ahead in life. As slimy as this is, in and of itself, it could potentially be dangerous for you as a new employee. These sad and insecure people can be incredibly selfish, and if they see you as a threat to their job or status within the company, who knows what they might be capable of. Most likely, the worst they would do might be something relatively insignificant, such as “accidentally” give you some bad advice or talk badly about you behind your back. But you never know what people might be willing to do if they feel threatened, and they might even be more overt in their attempts to elevate their status at your expense. So be careful who you choose as friends—and trust your instincts. If someone seems particularly slimy or gossipy, I’d say that should be a big red flag, and confiding in that person is probably a really bad idea. I just want to add that in my experience with animators, this is an incredibly small percentage of people I’m talking about. The vast majority of animators I have met (literally, almost ALL) tend to be very friendly, easy-going, and team-oriented. The back-stabbers are thankfully few and far between, but if we’re talking about politics, I can’t help but throw it out there. Are you new at a studio? Then guess what? You don’t deserve a big meaty acting shot or the big fight spectacle that will be the trailer for the film, no matter how beautiful your demo reel may be. You are NEW. You are untested and unproven, and your demo reel ceases to mean anything at all the day you start at the new studio. And remember, there are no small shots, only small animators. I’ve heard too many stories about fresh graduates getting the job of their dreams at a big studio, and then expecting to be given only the best shots. This is political suicide at a studio, because as soon as the animators around you know that you’re unhappy with the shots you are being given, they automatically assume that means that you think you deserve bigger and more complex shots, which is probably true – otherwise you would be happy with what you are doing. This sense of entitlement is a huge turnoff to your co-workers, because the inference is that you think you are better than them. If there’s one thing that people hate, and WILL talk about behind your back, it’s a cocky attitude or a sense of superiority, and at the end of the project, these people certainly wouldn’t be chosen by their peers and supervisors to be kept at the studio or to return for a later project. And remember, there are no small shots, only small animators. If you get a “small” shot assignment, then turn it into something memorable that the supervisors will notice! Give it your all, and crank it out as fast and high quality as possible, and they’ll be throwing those “big” shots your way in no time. Let your work speak for you—that’s the best way to go. Depending on the studios, there can often be a huge difference in the amount of professionalism expected at a large studio versus a smaller studio, and you need to be aware of the differences. Tim Ingersoll wrote a great post about working at large vs. small studios, so check it out, if you want to know more! Obviously, all of us should strive for a high level of professionalism, no matter where we work, but sometimes smaller studios have the luxury to be a little less focused on “strict professionalism,” and can be a little more focused on the team being a tight-knit creative family. The end result is that many smaller creative studios end up with a very casual overall vibe that a lot of larger studios simply (and often unfortunately) can’t afford to perpetuate, partly because of the amount and quality of work expected, but mostly because the larger number of people means a lot more diversity and potential for conflict in a casual work setting. Every studio has its own culture and vibe, and the culture/vibe you are coming from may be radically different. If your goal is to make a home of this new studio, then part of that goal should be to assimilate into their culture and not try to force your own onto it. Well, there you have it – some tips on politics. Ugh, I hated writing that one. It’s such yucky stuff that I wish didn’t exist at all, but these types of things are a reality of the world we live and work in. For the most part, just be yourself, and you’ll be fine! You’ll learn soon enough if there is anyone to be careful of, or what the culture or rules of any given studio are. Being overly worried about politics will just make your job less fun, so keep these things in mind, but don’t let this stuff hold you back from making a big impression, finding new friends, or doing the best work you can do! 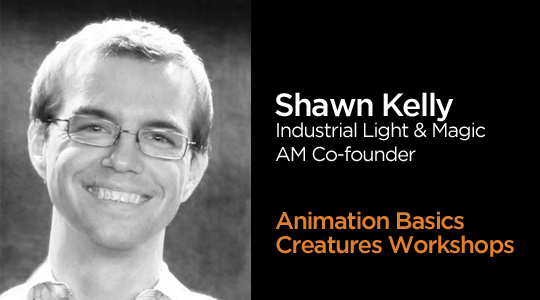 Want to learn animation from pros like Shawn? Start your animation journey by learning with professional animators from a variety of studios and career paths! 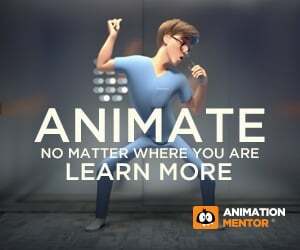 Get more information about Animation Mentor’s Character Animation Courses. Yep very true, I became a victim of this and its hurt my career badly as a result. Such a great post. A lot of this carries over into other industries as well. Shawn is speaking TRUTH, here. I’m in the Web Design and Animation industry. Working in both corporate and startup atmospheres. These points of interest work hand in hand for BOTH environments. Any new employee should study this post. Wise words of wisdom here. Great post!